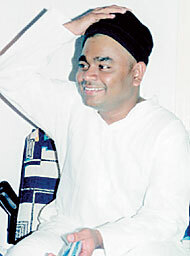 MINA, 12 January 2006 — From a non-believer to a worshipper; from polytheist to monotheist; from Dileep Kumar to Allah Rakha Rahman, the famous music wizard has come a long way. This journey, he says, has completely changed his outlook toward life. “I wanted to bring my wife also for Haj this year, but since my son is only three years old, she could not make it. God willing, I will come again — next time with my wife and children,” Rahman said.